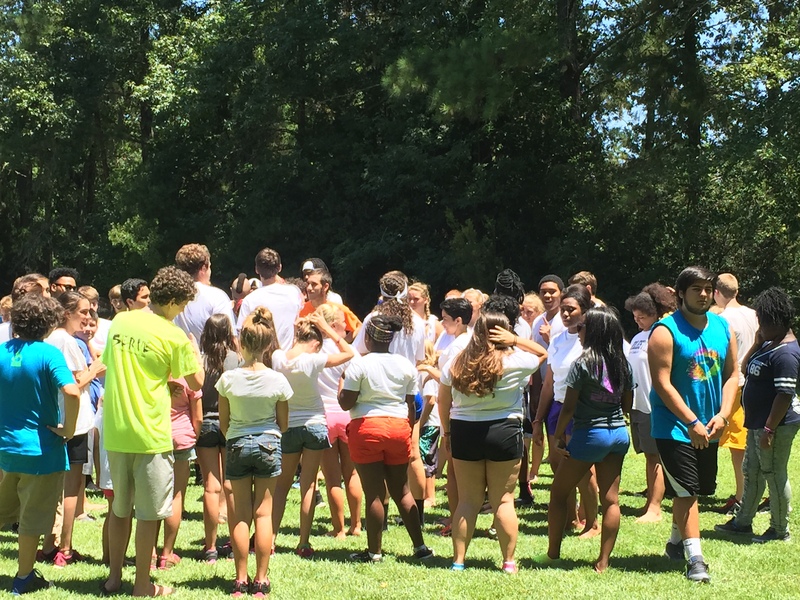 ← Welcome to youth group! 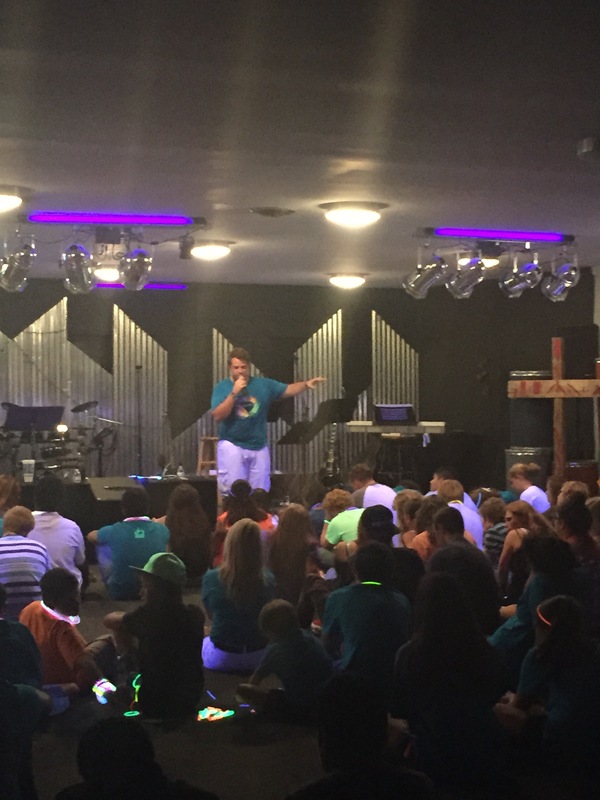 This past weekend was what we consider to be our biggest youth event of the year- The Stand. 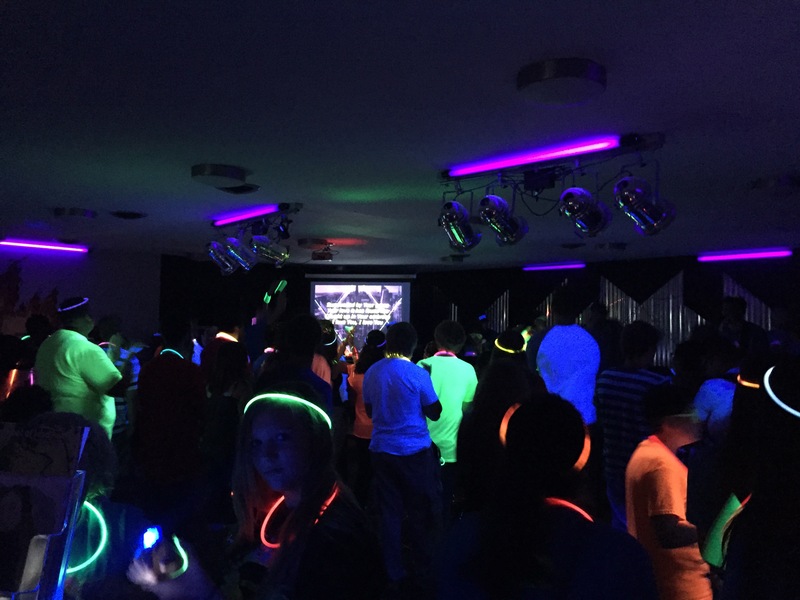 It is a weekend long youth event that we hold at our church. This is the 5th year of this event and by far this was the best year ever! We changed things up a bit as far as what Saturday consisted of this year. In the past, we have brought in speakers and worship leaders. We have had years that we spent the bulk of Saturday doing community work- such as working at a homeless shelter, clothes closet, or doing house & yard work for a female that lives alone. We have also had years that we spent Saturday playing games. 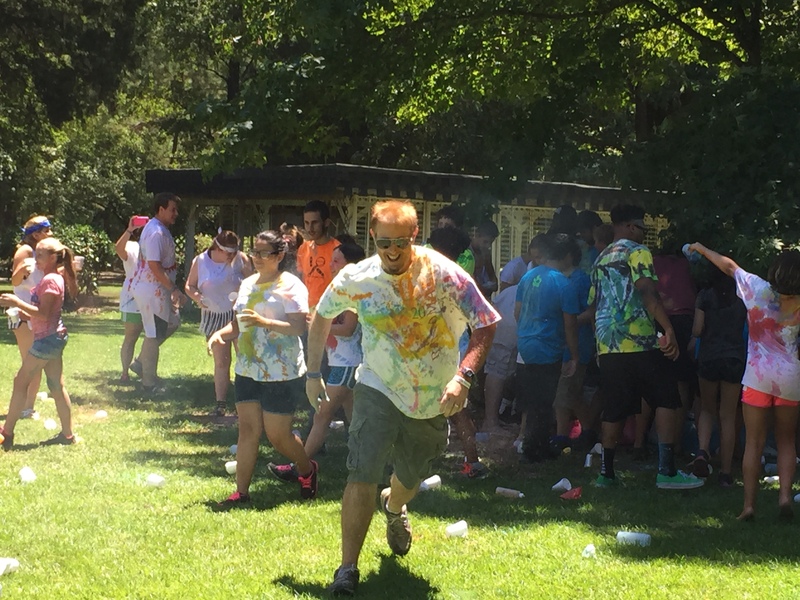 We thought it was going to be tough to top last year’s human bowling! In the years past, we have had a Friday night service, a Saturday night service, and then the event ends after church on Sunday Morning. We always feed the students Friday night, three meals on Saturday, and breakfast on Sunday morning. We have posters, post cards, and shirts made for this event. 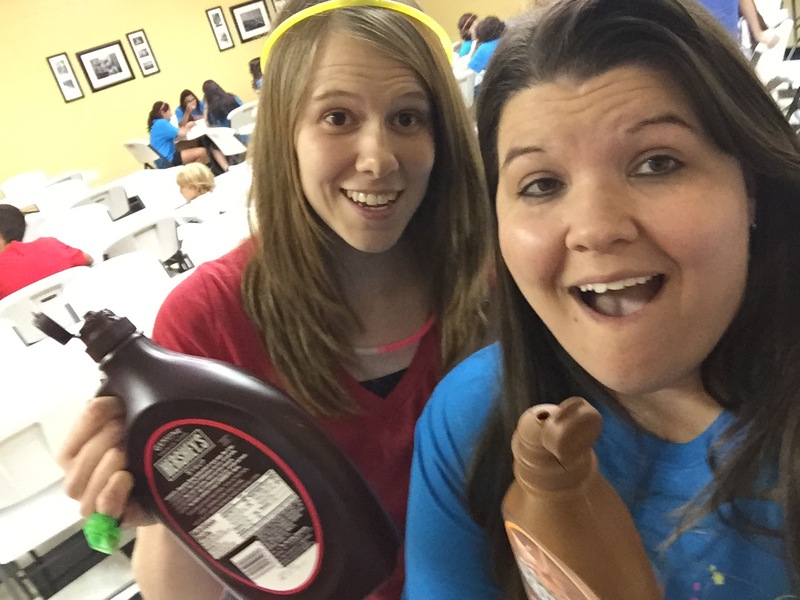 We give out prizes (and try to make them good prizes)! It is a huge deal to us! We pour hours of planning, preparation, and prayer into this weekend. On Friday afternoon the students arrived at 5:30 and we just gave them time to socialize and play basketball ( cause the boys will default to playing basketball anytime they have a spare two minutes). 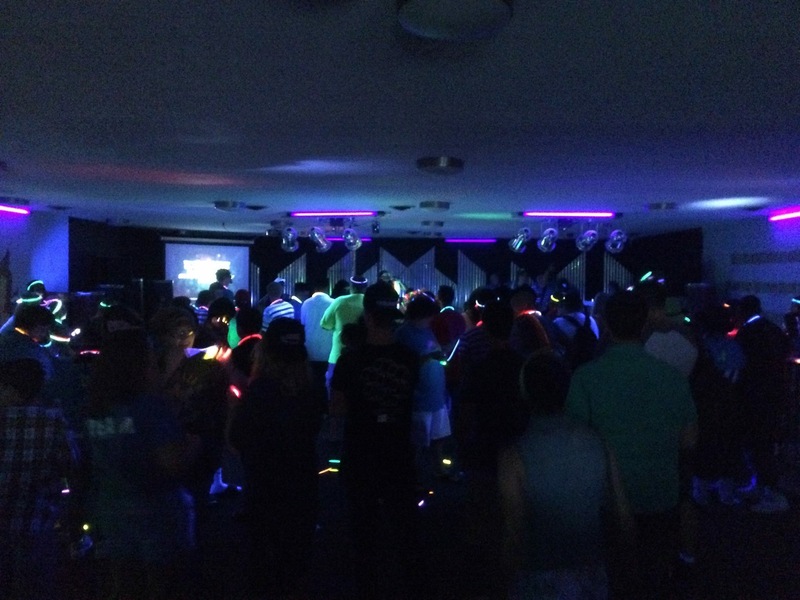 We fed them dinner and opened the doors to the youth room for a 7:00 service…a glow worship service. We put in new lights and black lights. 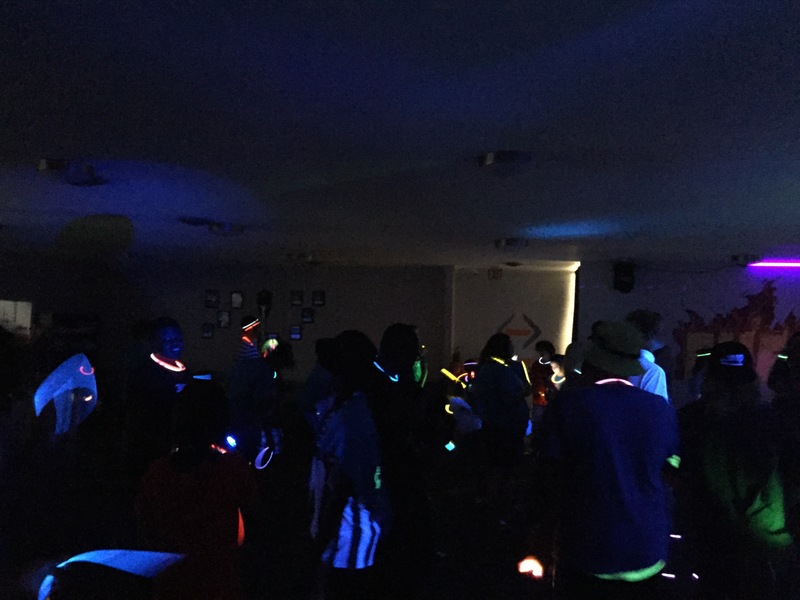 We passed out glow necklaces, bracelets, and glasses. The time of worship was high energy. The floor was literally shaking as the students jumped. 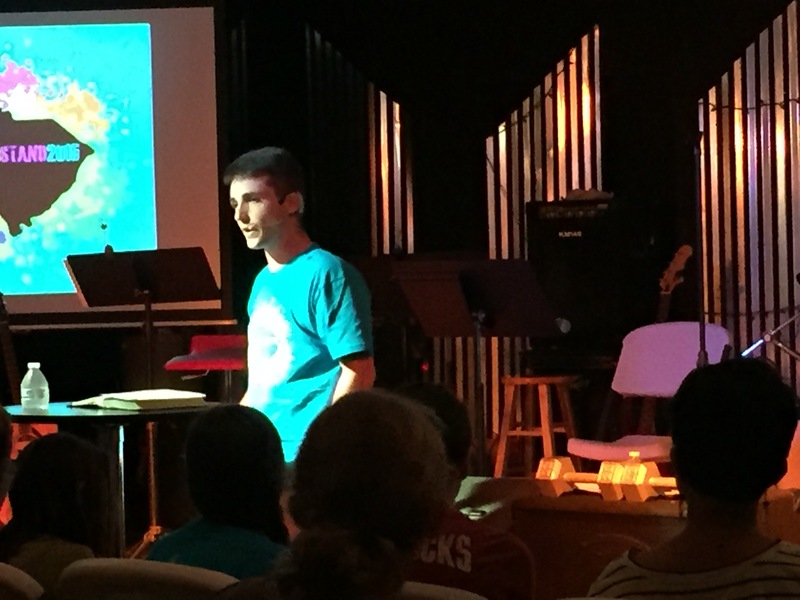 We had a great message and altar call led by Zach Arnold, who is a leader in our youth band. He just graduated from college and is headed to Bethel. 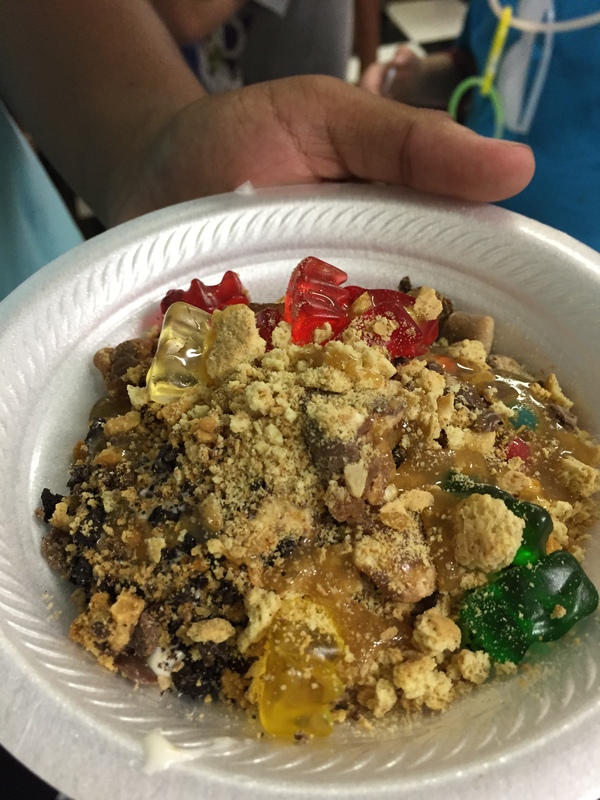 After service ended, we had an ice cream bar with over a dozen toppings for the students to choose from. After that is was free time until bed. 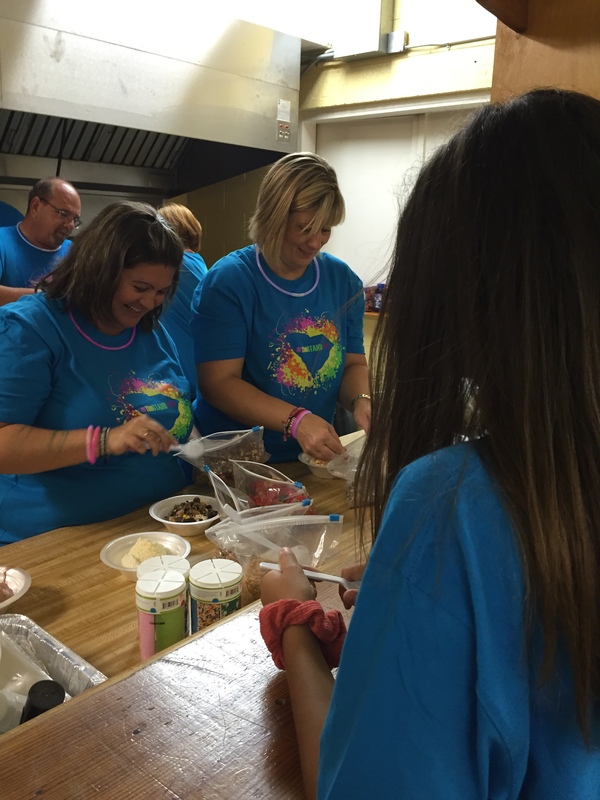 On Saturday, we woke up, showered, and served everyone breakfast. We had a 10:30 service with Daniel Benton, who is a youth pastor with his wife Kelsey in SC. 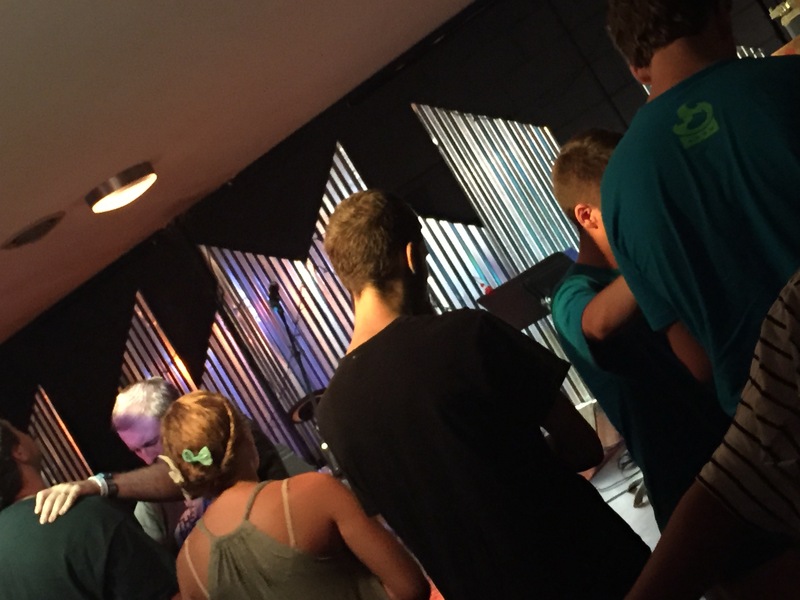 Each time we had a service, we also had an amazing time of worship with our youth band. They really put in time and prayer and it showed. We had a few minutes of free time ( we scheduled this so that we would not be rushed at any service during altar times). 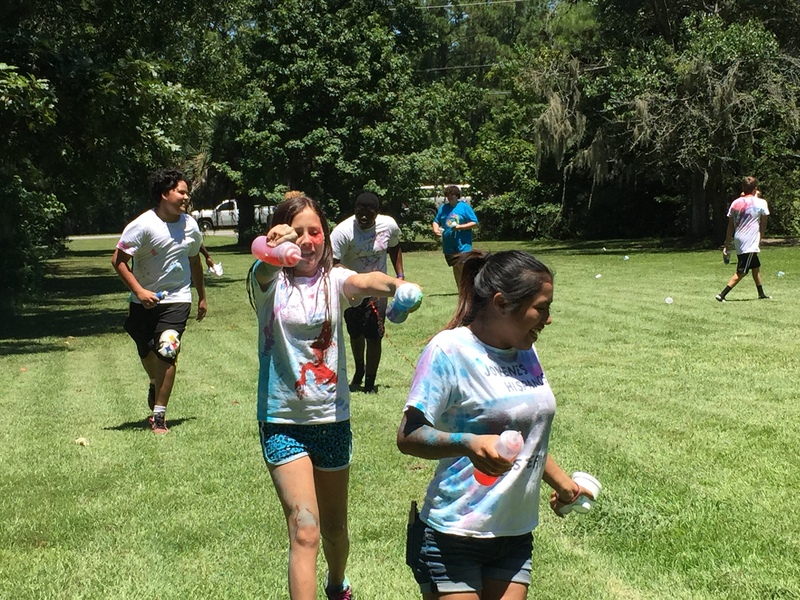 We served them lunch and then we headed to the field next door for a color war. Now let me just tell you about this color war. We researched how to make our own color powder and it seemed to be much cheaper than ordering the pre-made product. We just had no idea how long it would take. Once we got the hang of it, it wasn’t difficult…..just time consuming. Basically we had about 30+ hours invested into making this powder. It was all hand sifted by our amazing team. 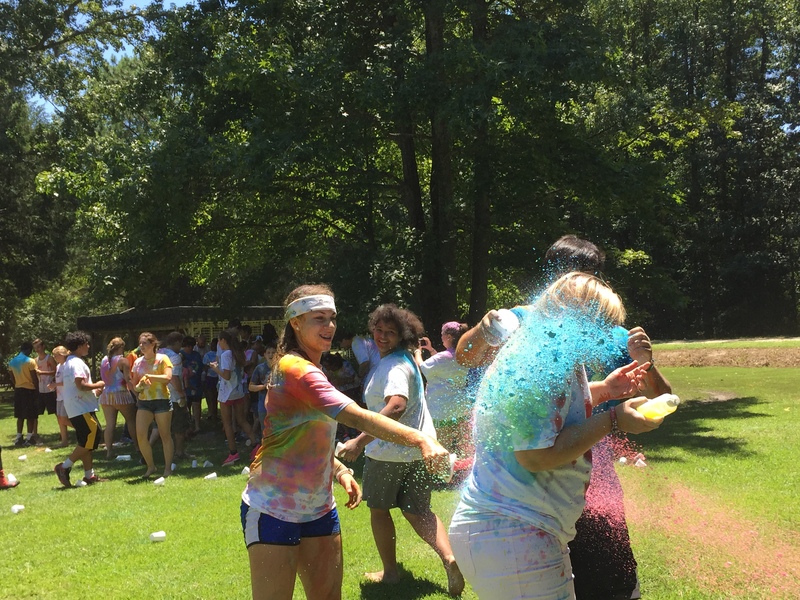 And although by day 3 of working on the powder, we were all pretty sick of it…..we would do it all over again because the color war was better than we could’ve imagined. 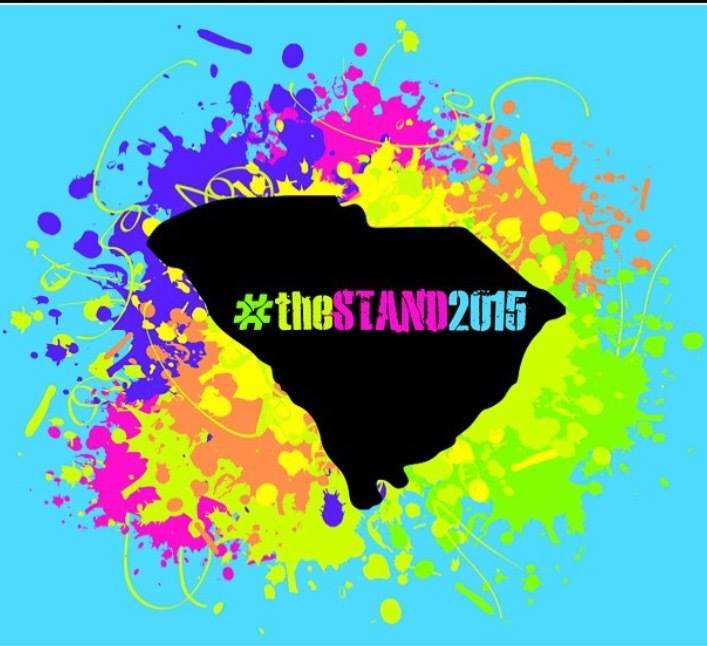 So when we are preparing for #thestand2016, we will start on the color months out instead of the week of!! 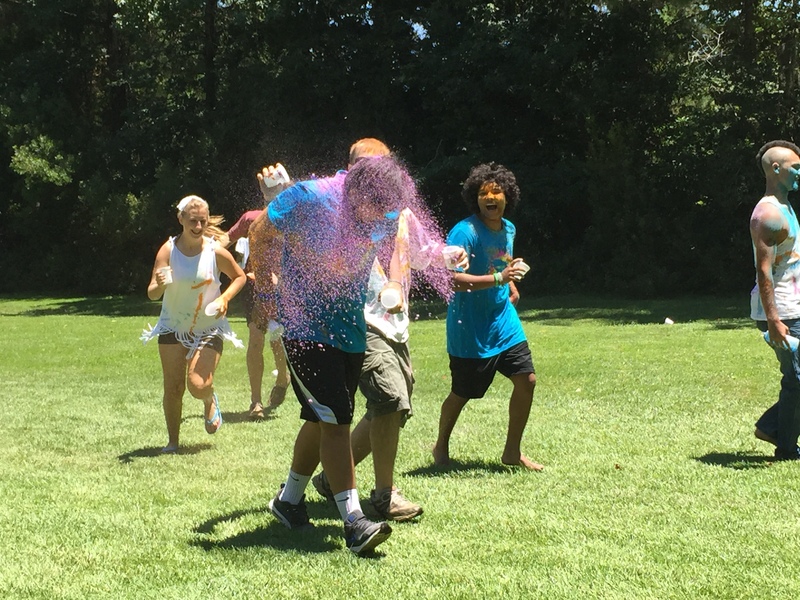 The color war was so fun and the powder went pretty far. We also had squirt bottles with water and food coloring inside which helped the powder to stick. I was expecting it to be over in like five minutes, but it wasn’t. Everyone loved it. 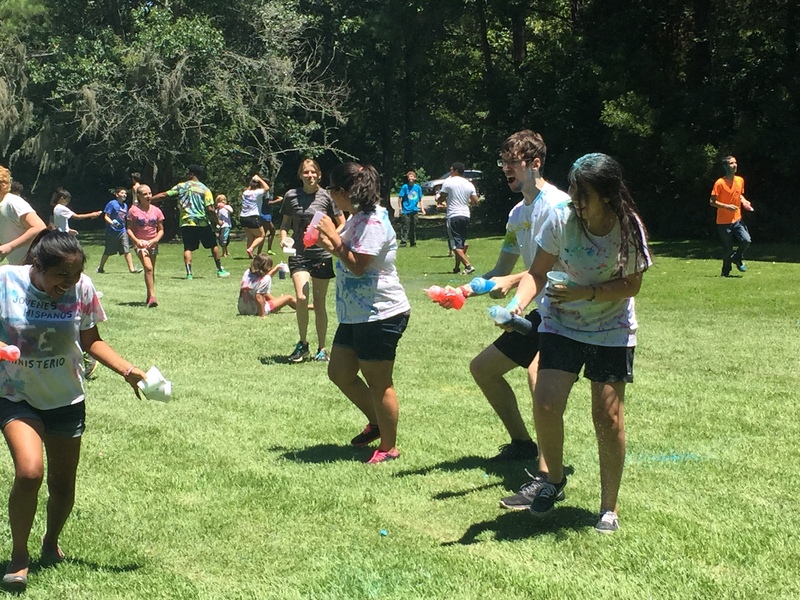 The shower time after the color war took a little longer than normal because of all the extra scrubbing. After that, we had a 3:30 service with Seth Duvall, who along with his wife Amy are also youth pastors in SC. All of the speakers this year are dear friends of ours! We are so blessed that they all chose to come and be a part of this weekend!! 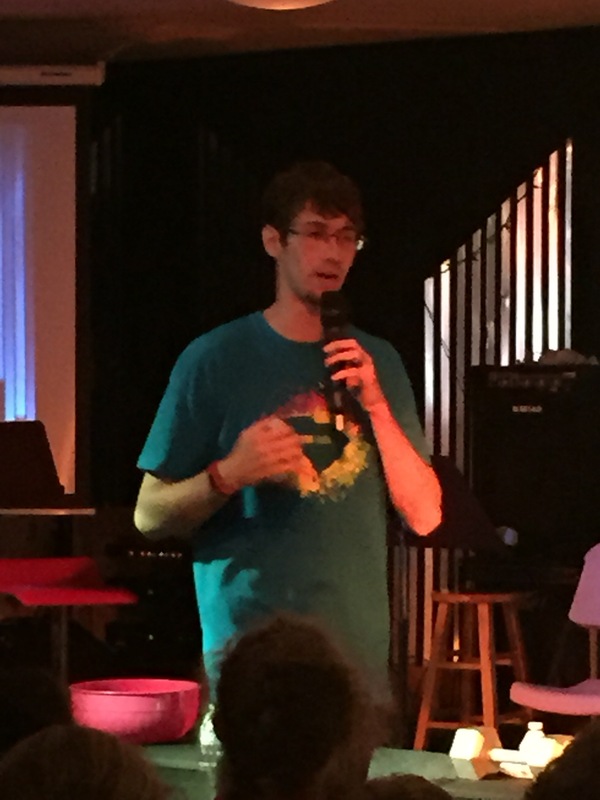 We had one more service on Saturday Night at which Otis spoke. We had amazing times at the altar after each service. 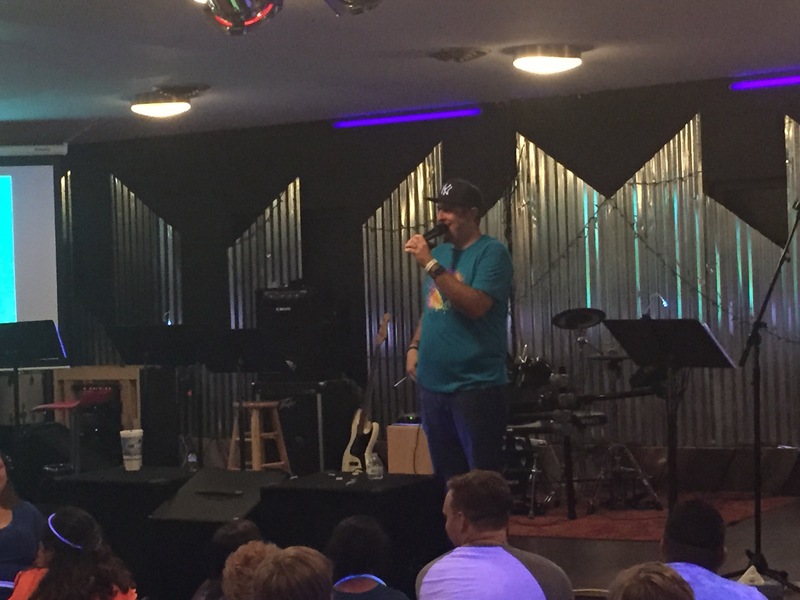 Otis had just come back from two weeks of camp and shared testimonies with me of teens being healed. Well, this weekend I was privileged to see that first hand. I don’t know the number, but we had multiple healing and breakthroughs as all of the leaders prayed and spoke life over these students. It really was more than I could have ever imagined….but isn’t that just like God! So, as a quick summary…. 10 gallons of fruit punch, 10 gallons of lemonade and 8 gallons of sweet tea…. and 1 trip to early bird diner…..
all of that combined with some pretty amazing leaders giving it all they’ve got make for one life changing weekend!